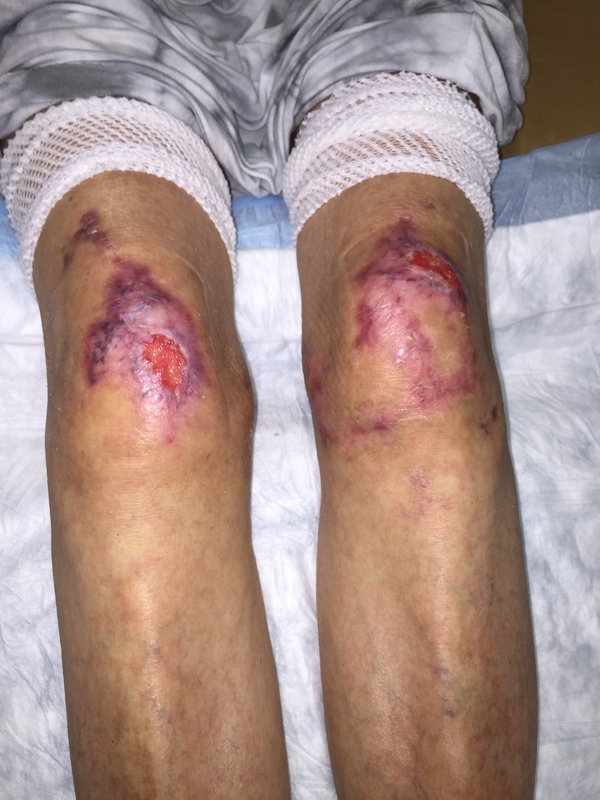 This is an initial and a follow-up photo of a woman with an autoimmune disease that is causing horrible leg ulcers primarily on her knees. Her biggest problem, however, is that she weighs 88 lbs and doesn’t eat. I admitted her for malnutrition early in her course, but she didn’t want a feeding tube. The only thing I can get her to take by way of supplementation is Argenaid (Nestle). 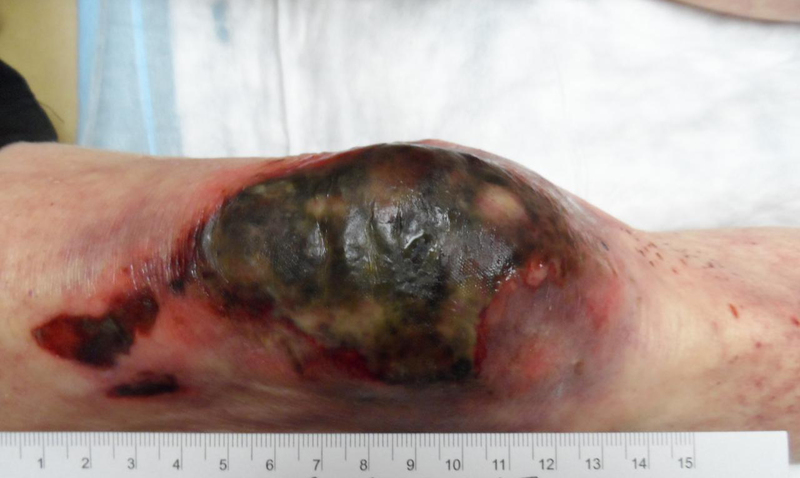 The follow-up photo is about 6 months later. She still weighs 88 lbs, but she is nearly healed.